While at university, I went to the Eid al-Fitr celebration; primarily for the food, but I got a lot more than that. I had an opportunity to speak with a Muslim. He told me about Islam and gave me a Qur'an. He told me how Muslims treated the Qur'an, so I felt its contents must be special. I read it and I was amazed by its immediate references to God and its focus on worshipping God alone. At that time, I was having difficulties at university and found that the Qur'an told me how to deal with them. I found I read the Qur'aan more and the Bible less. 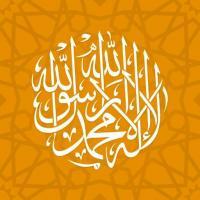 I related more to the Qur'aan and its teachings and so my belief in it increased. When I came back to London, I told a Muslim friend I was interested in Islaa. On Christmas day that year, he took me to the local mosque and I took my shahadah (testification of faith)."